Someone mentioned on my Instagram the other day when I posted the card suite nails that they would be perfect for Vegas and it made me think about dice and how perfect they would be on nails. My dice mani. So cute. So Vegas. Perfect for short nails! 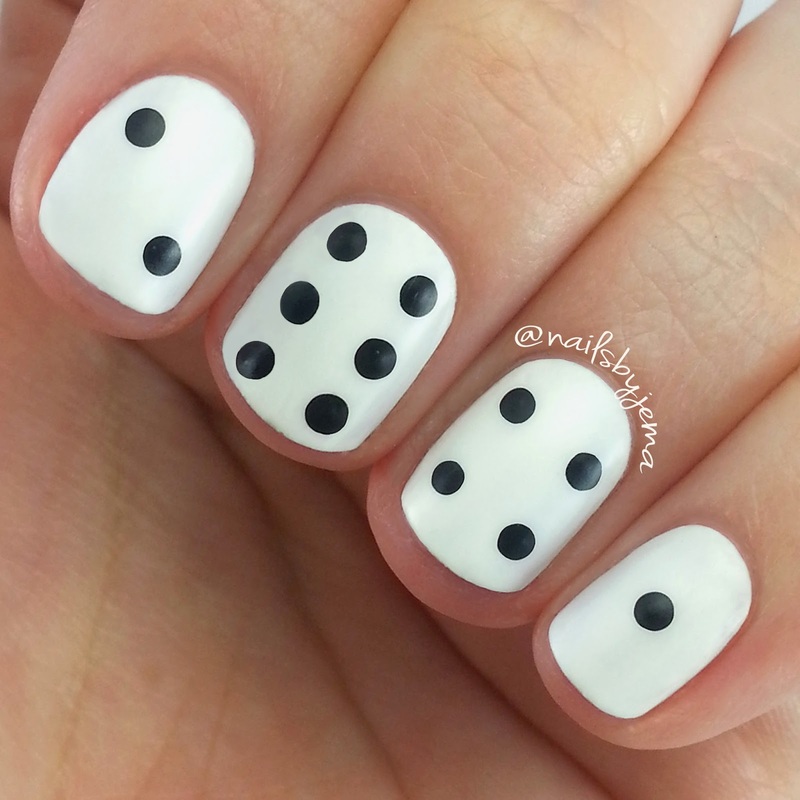 I used China Glaze 'White On White' for the base and then 'Liquid Leather' and a dotting tool to do the dots and then I matted it out with Sally Hansen 'Big Matte Top Coat'.